Simon Cowell and Lauren Silverman are planning trips to Florida and London so their newborn son Eric can be introducing to his grandparents. 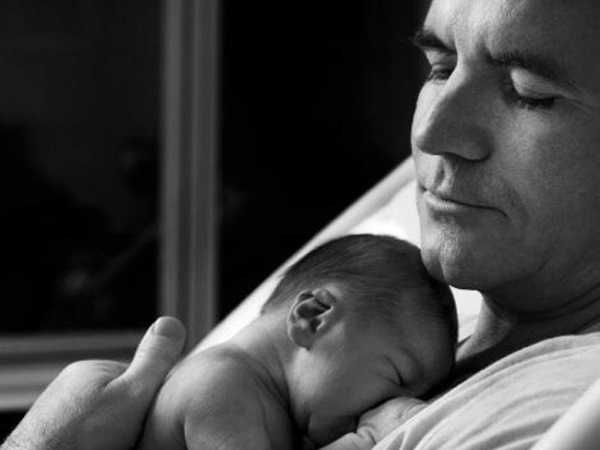 Simon Cowell is ready to take his son Eric to visit his grandparents. The 54-year-old media mogul will introduce his baby boy to his US in-laws when the new family visit Lauren Silverman's relatives in Florida before flying to the UK to meet Simon's mother Julie. An insider told the Sunday Mirror newspaper: "Simon and Lauren are really looking forward to spending some quality family time together. "They managed to race through a passport registration for baby Eric this week so he can travel, and Simon is absolutely thrilled at the prospect of introducing his sons to his mum Julie and the rest of his family. "They're a very tight-knit family and introducing his baby to everyone is huge for Simon. He's very excited." Meanwhile, it is said Simon has hired a nanny to wait on his newborn son, who will be with the family to provide constant care for Eric. Speaking to the Daily Star Sunday newspaper: "Simon has hired a top £200 000-a-year nanny from an exclusive Manhattan agency who they interviewed rigorously before selecting. "She will live with him and Lauren and jet back and forth to London in his private jet or in first class. She will also have a wardrobe allowance. "So far Simon has barely left his son's side but he knows he will soon be back at work full time and while Lauren is a hands-on mum he's made it clear no expense will be spared to get the best possible help."